200 years ago Manchester was described as “without challenge the first and greatest industrial city in the world.” Fast forward to the 21st century and Manchester is no longer defined by its industry. The headlines now are all about it’s growing reputation as a ‘foodie hotspot’, the home of hotel innovation, and host to the Manchester International Festival. For the Tower Lifts design and installation team, Manchester is a phenomenal lift infrastructure, with a city attached. Not only do we install lifts across the city, we also regularly maintain, repair and upgrade lifts from every decade over the past 100 years. As a leading provider of lift services in the city we feel a special respect for the sheer vitality that this Manchester continues to exude. For nearly two decades now, Tower Lifts has been providing bespoke lifts. Our range of customised lift designs range from slight alterations to one of our standard models, right up to an installation which is comprehensively bespoke. Our designers love a challenge, and over the years this has produced numerous innovative, highly creative bespoke lift solutions. If you want to install a lift but you’re worried about low headroom, no pit or lack of space, call Tower Lift designers today on 01525 601099 to talk through your options. Why Commission a Bespoke Lift Design? What makes a city unique? It’s the fact that its architecture and layout tells the story of the city over the past 5 or 6 centuries. That means there’s going to be an awful lot of buildings that don’t measure up to the standard lift specifications. Our lift designers get to work when there are architectural challenges to negotiate, or specific conditions that need addressing. This initial phase is important because it lays the foundations for the options and solutions we’ll prepare for you. We’ll always seek the best solution. Passenger safety is always at the heart of what we do. We’ll work to your budget. Domestic Bespoke Lifts – Providing access within the domestic sphere is one of the groundbreaking leaps over the last 20 years. Tower Lifts work from the assumption that no house is to small, or oddly shaped to have a lift installed. Commercial Bespoke Lifts – Often we’re asked by business owners to help them craft a solution to a productivity challenge they are encountering. Often this is about moving goods quickly from a storeroom, or kitchen, to arrive in front of customers. Our bespoke dumb waiter lifts have proved extremely popular in this context. Industrial Bespoke Lifts – Whether a business needs to move cars, heavy equipment, stock, people or a mix of all these, we will find a solution. 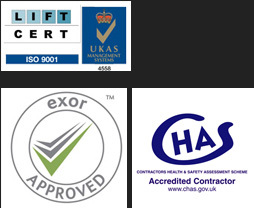 If you’re thinking of installing a bespoke lift, you want the reassurance of working with the best. Our designers have the skills to provide solutions guaranteed to fit your brief, your budget and the Building Regulations. We’ve never been beaten by a problematic lift environment, or a challenging brief yet, so you can trust us to create the bespoke lift you need.